10. One Life to Live - Best soap on TV hands down. After my soap of choice, All My Children was destroyed by a horrible headwriter, my favorite podcast, The Pine Valley Podcast, told me to tune into One Life to Live; I haven't regretted it since. This show is chock-full of talent, amazing stories, dialogue, and heart and humor. And let's face it, the male eye-candy is delightful. Now that OLTL is on Hulu, I hope everyone will make an effort to watch so the networks can see that the outdated Nielsen ratings aren't accurately portraying the love for OLTL. 9. Eastbound & Down - If you've ever asked yourself, "What would John Rocker do?" then this show is for you. 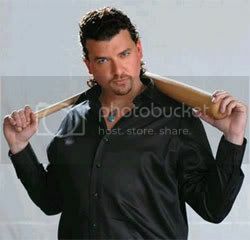 Kenny Powers is a former baseball badass kicked out of the league so he moves back home with his brother and becomes a high school gym teacher. It's raunchy, cringe-inducing, but has moments of pathos (triple word score!) Subscribe to HBO just for this show. 8. Friday Night Lights - When you watch Friday Night Lights, it doesn't feel scripted; it looks like a documentary. It's also the same way you feel when you watch it because this show feels so real and you bond with the characters. I'll avoid just ogling Tim Riggins to say the storylines are so powerful and the season ended with an amazing cliffhanger that will completely reboot the series from the ground up. I don't have DirectTV so I'll have to wait until NBC airs it, but I'll be counting the days until I can see the town of Dillon and their football glory. 7. Party Down - Due to an obsessive love of Veronica Mars, I'll watch any Rob Thomas produced shows (not that one). Party Down is a catering company full of wannabes making ends-meat. An outstanding cast of comedians make this show must watch for all the hilararity this team of misfits creates. And lots of amazing one liners ("Are we having fun yet?" 6. Glee - A premise that sounded like it could be an ultimate bomb, it turned out to be the biggest hit of the fall. These kids can sing, Mr. Schuester attempts to rap, and Jane Lynch steals every scene she's in. Throw in the dark humor creator Ryan Murphy (Nip/Tuck, Popular) is known for, and add in lots of tearjerker moments (deaf kid choir performing "Imagine"), and you've got one of the best hours each week. 5. Survivor - Survivor is currently on season 19, and it's still consistently entertaining. What makes Survivor last is that while the premise is always the same, their casting is great. Each season it's intriguing to see how the game plays out; who lies, who cheats, who jumps alliance first? Host Jeff Probst keeps winning the Emmy for best reality host because he is the best, getting the castaways to reveal their emotions and cause drama. If you're going to watch only one reality show, it has to be Survivor. 4. Nurse Jackie - I had no plans to watch this show but had a Showtime free preview over the summer so said what the hay. I then watched all the episodes in a matter of days. Edie Falco proves that she's not just Carmela Soprano by playing a pill-addicted, cheating nurse who has a heart for her patients. It's the addition of the supporting cast that brings this show to a whole new level. I don't have Showtime right now, but I will be resubscribing in March when this show returns. 3. Mad Men - If you can still look at a John Deere tractor normally, you aren't watching Mad Men. This season brought the characters to new places in their lives. Don Draper's true identity finally came to surface, causing his family to crumble. Sterling Cooper was acquired by Brits, then sold again. But from the ashes, the main players came together again to lead into the best cliffhanger yet (and ultimate line of the year): "Good morning; Sterling Cooper Draper Pryce, how may I help you?" 2. Modern Family - 3 letters for this show: L O L. By far, the best new show of the year. Filmed documentary style, Modern Family follows 3 different familes that are all related. Phil is the self-described "cool dad" who knows High School Musical dances, while his brother-in-law Cameron is an outlandish gay guy with a passion to be a clown. This ensemble comedy hasn't faltered yet and I don't expect it to. If you miss Arrested Development's Bluths, latch onto the Pritchett clan now. 1. Lost - With the show winding down, season 5 began to really get the ball rolling. The illusive Jacob was revealed, John Locke (kinda) rose from the dead, Sayid shot a 12 year old, and many of our favorites have been living in the late 70's for 3 years. Make sense? You have to watch to get it. Sure it can get confusing, but that's what makes me buy the DVDs to rewatch, searching for clues to figure out the mystery. 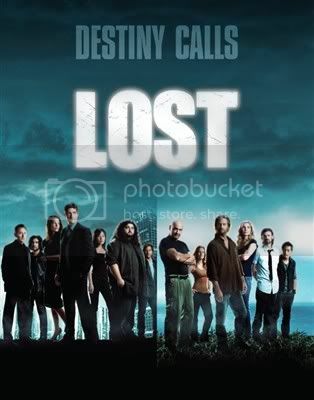 The final season starts in a month and by June, my beloved Lost will end. But I know it will go down in history as one of the best shows I've ever watched. dollhouse was cancelled??? i really wanted to start getting into that show. what about it's always sunny in philadelphia? and do you watch any bbcamerica shows? and how could you forget JONAS...hmm well you're over 8, so i guess that's an easy one to forget. Summer, good call on Always Sunny- can't believe I forgot it. Added it in the list. Dollhouse definitely is over :( And the past 4 episodes have been ridiculously good. Get the DVDs for sure. Season 1 is uneven, but season 2 has improved so much. Glad Summer mentioned IASIP... and props for including Eastbound and Down, which was so hilarious and yet so overlooked- I can't wait for it to come back next year.